It’s time for Tricky Treats, costumes, and—of course—the return of the Headless Horseman during this year’s Hallow’s End! Hallow’s End celebrates the break of the Forsaken from the Scourge. Fun and mischief reign as the Innkeepers of Azeroth give treats, and tricks, to whomever asks. The spookiest time of year has arrived once more, and the Headless Horseman rides forth to strike terror into the hearts and minds of Azeroth’s citizens. Where: Trick-or-Treat throughout the inns of Azeroth, Northrend, Pandaria, Outland, Draenor, and the Broken Isles (Dalaran) for tasty treats and currency to buy Hallow’s End delights. All together now! —the Headless Horseman is back to set fire to Razor Hill and Goldshire once more. You’ll need to lend a hand on the bucket brigade to put them out and face the infamous rider. It would be a lovely time of year to take a stroll through the Scarlet Monastery’s Graveyard if the Headless Horseman hadn’t decided to make it his new lair. If you're lucky and succeed in routing this menace from within, you may ride off with his steed. Throughout Hallow’s End, characters level 23-120 will be able to queue up for this ghoulish encounter in the Dungeon Finder. Head to Val’sharah to undertake a quest that begins with the Hag of the Crooked Tree in Bradensbrook. Follow the tale through to its culmination and you’ll receive some Tricky Treats and a chance of receiving one of four utterly bewitching hats. There are a total of 21 achievements that can be earned during this event. Completing the Meta-Achievement, Hallowed Be Thy Name, rewards the title: The Hallowed. The eleven Achievements that need to be completed to earn this title include: Trick or Treat!, Out With It, Bring Me the Head of... Oh Wait, The Savior of Hallow's End, That Sparkling Smile, Rotten Hallow, G.N.E.R.D. Rage, Check Your Head, The Masquerade, Sinister Calling, Tricks or Treats of Azeroth. Ruin Hallow’s End for the Alliance and foil their attempts to wreck the Horde celebration by completing the following quests: Stink Bombs Away!, Clean Up in Undercity, A Time to Build Up, A Time to Break Down. Use Weighted Jack-o’-Lanterns to put pumpkin heads on each of the races: Blood Elf, Draenei, Dwarf, Gnome, Goblin, Human, Night Elf, Orc, Tauren, Troll, Undead, Worgen. Earn 10 honorable kills while under the influence of the G.N.E.R.D. buff. It’s a slap in the face! Obtain a Mask during Hallow’s End. Collect the 24 unique Masks listed: (Male and Female each) Blood Elf, Draenei, Dwarf, Gnome, Goblin, Human, Night Elf, Orc, Tauren, Troll, Undead, and Worgen. Get transformed by the Hallowed Wands listed: Bat, Ghost, Leper Gnome, Ninja, Pirate Skeleton, Wisp. Complete one of the quests to save a village form the Headless Horseman. Obtain a Sinister Squashling pet and Hallowed Helm through looting or Tricky Treats from the Hallow’s end world events. 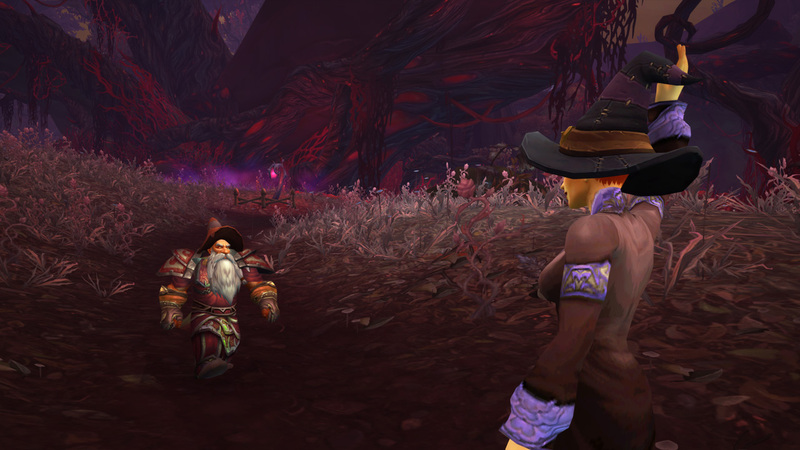 Complete the Kalimdor, Eastern Kingdoms, and Outland Tricks and Treats achievements. Visit the Candy Buckets in Cataclsym zones. Ruin Hallow’s End for the Horde and foil their attempts to wreck the Alliance celebration by completing the following quests: Stink Bombs Away!, Clean Up in Stormwind, A Time to Gain, A Time to Lose. Horde characters who have completed the Battle for Lordaeron event will need to speak with Zidormi in Tirisfal Glades to pass through the mists of time and visit Undercity as it was before. Learn more about Hallow’s End on Wowhead’s Hallow’s End guide here.